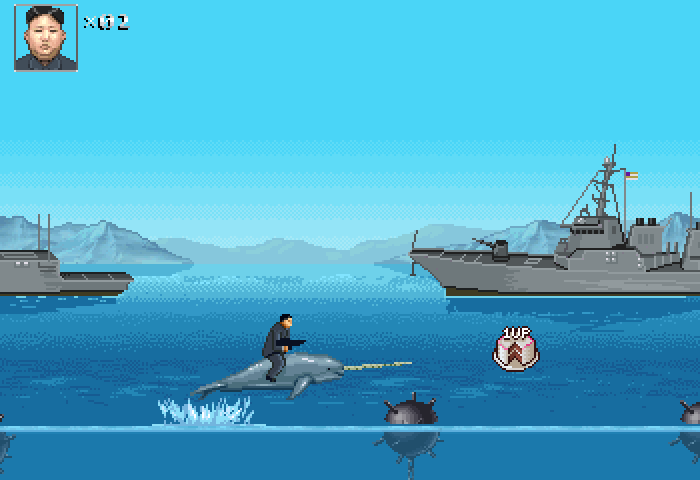 Moneyhorse Games isn't cutting back on its spoof of North Korea's Kim Jong Un. 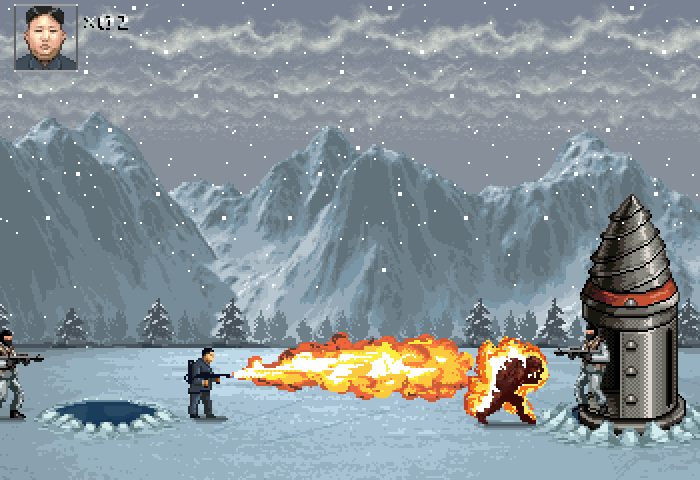 The Interview won't be releasing in theaters, but Sony Pictures' decision to pull the movie has not affected Moneyhorse Games' satirical game about North Korea's Kim Jong Un. 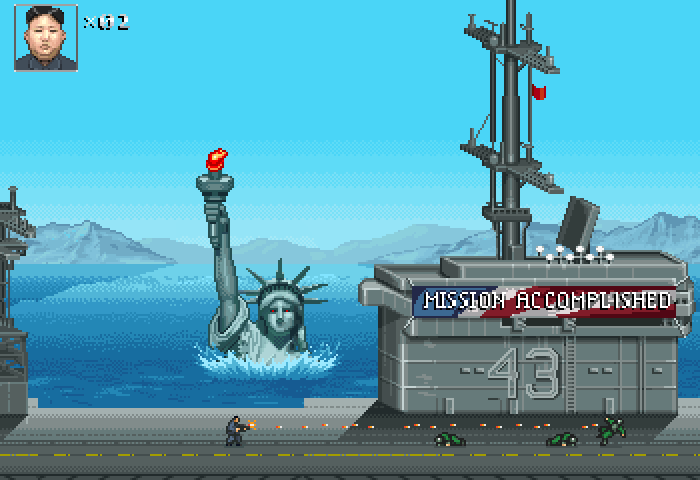 Moneyhorse Games is even more motivated to finish Glorious Leader!. 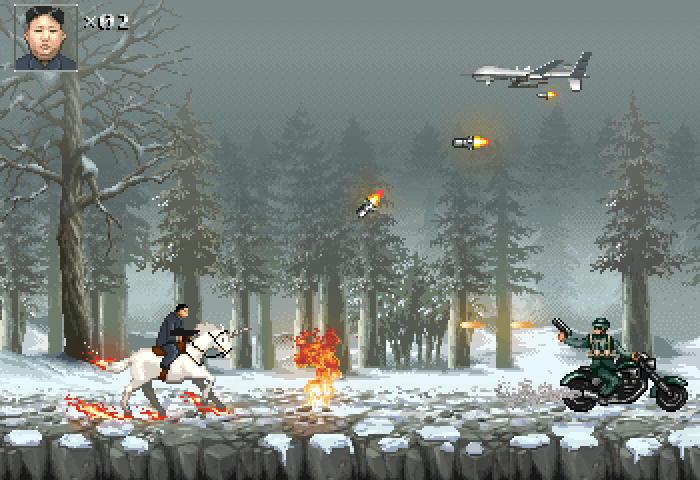 Kim Jong Un rides a unicorn and shoots hoops in Glorious Leader! and fends off American imperialism singlehandedly. Moneyhorse Games' Jeff Miller told the Associated Press he plans on adding locations to the game that are topical. 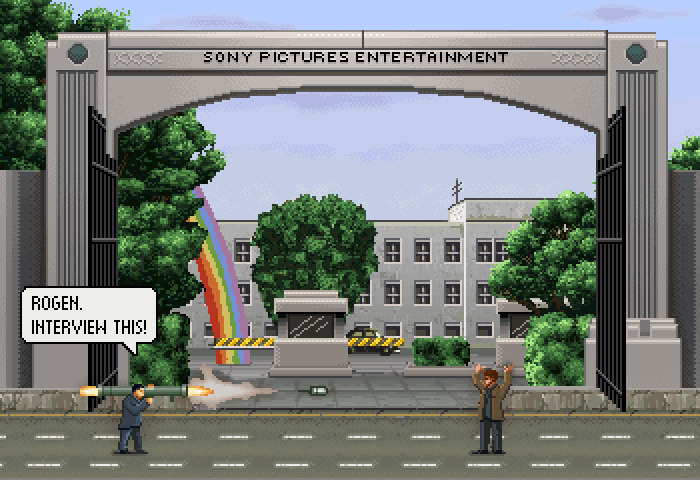 He said he will even add a level on the Sony Pictures back lot as a bonus level. Sony Pictures faced threats in a cyberattack that the FBI and President Obama attribute to North Korea. The country had complained this summer to the United Nations about Seth Rogen and James Franco's film The Interview. After several theaters decided to cancel the premiere for The Interview, Sony Pictures officially canceled the movie's American premiere. 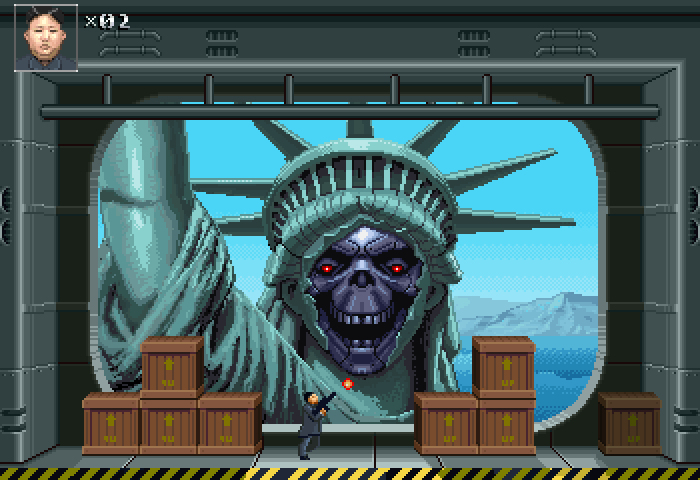 Last Wednesday Miller launched a Kickstarter campaign for to finish Glorious Leader! Miller planned on releasing the game this year originally. 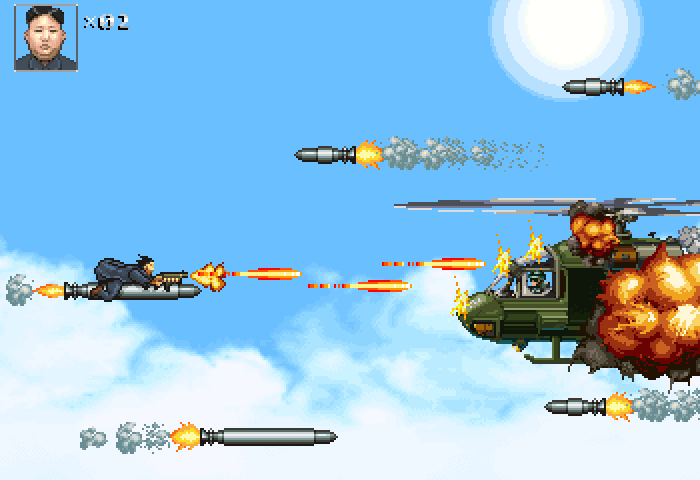 He hopes to release it on Xbox and Playstation consoles in addition to PC and mobile devices. 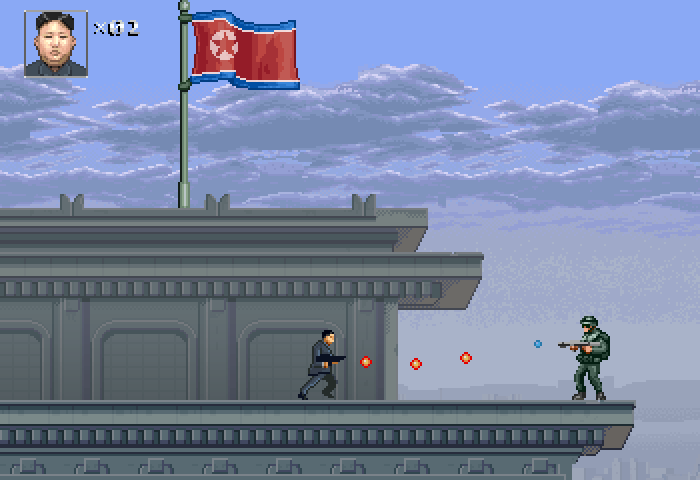 However, Microsoft declined to distribute the game. The last he heard from Sony indicated the company was responsive.